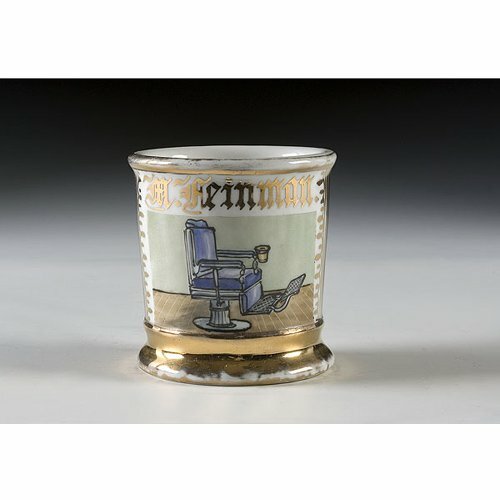 Barber’s Occupational Shaving Mug with Chair, porcelain with polychrome painted barber chair, complete with cup holder. 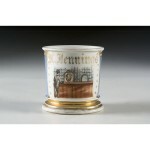 Mug with heavy gilt at foot and rim, with black monochrome wrap. Gilt name W. Heinman. Marked Felda China/Germany.